Hi! 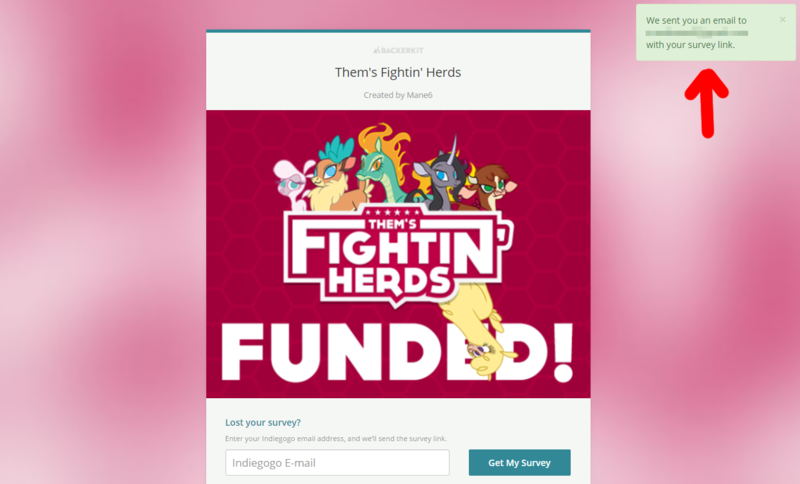 As you know, the Them's Fightin' Herds Beta started on May 25. As of May 26, the system is telling us that all the keys have been generated and distributed, but if by any reason your key e-mail got lost in transit, eaten by your spam folder, or disappeared into the aether, we have this simple guide to help you recover it. Note the red squared zone at the bottom. 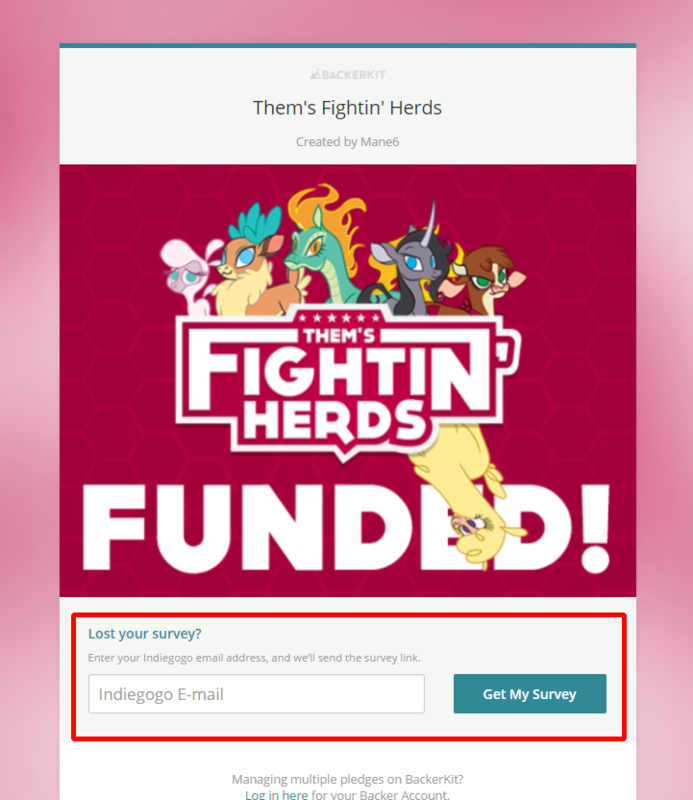 Input your indiegogo-bound e-mail in the box, and press "get my survey"
Once you have pressed the "get my survey" button, you'll get a notice on the top right of the page. That brings you to backerkit again. Your landing page looks somewhat like this. Click on "Get your Digital Downloads"
Wham. 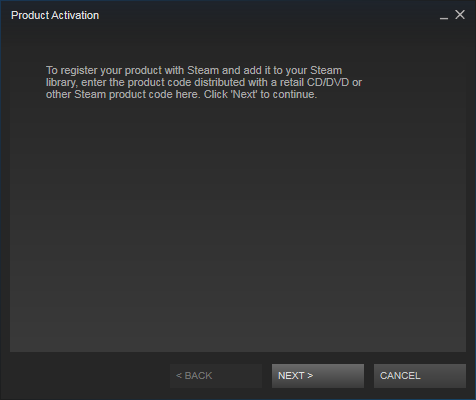 One Backers' Beta key should sit there, where the box of pixels is in the screencap above. 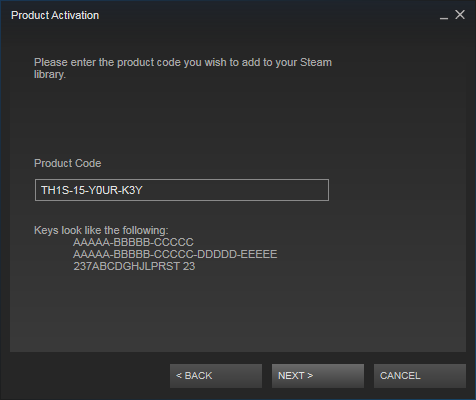 Copy your key, and open Steam. 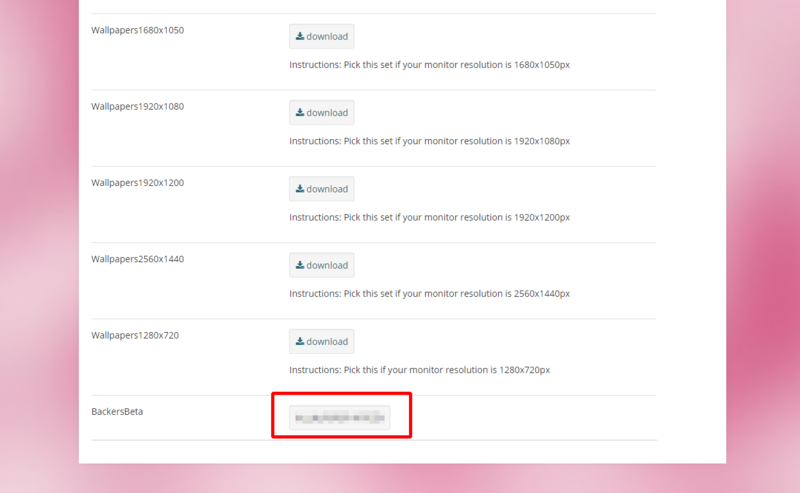 On the top left, find the "games" menu. 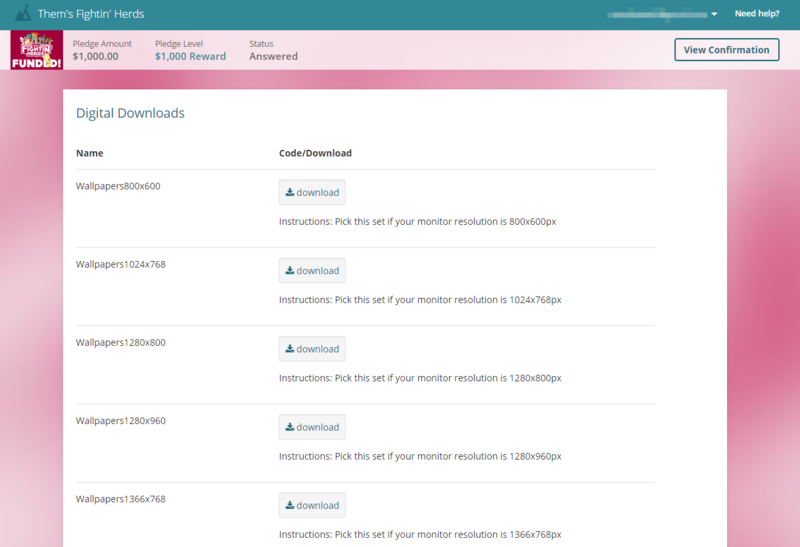 Alternatively, in the Library view, on the bottom left there's a menu called "+ ADD A GAME". 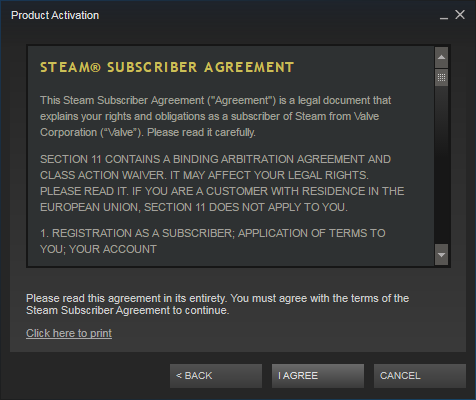 In either of those, select "Activate a Product on Steam"
It'll ask you to Accept the Steam Agreement. Read it carefully, then press "I agree"
Here's where you enter the key that you acquired in Step 7. Press Next. 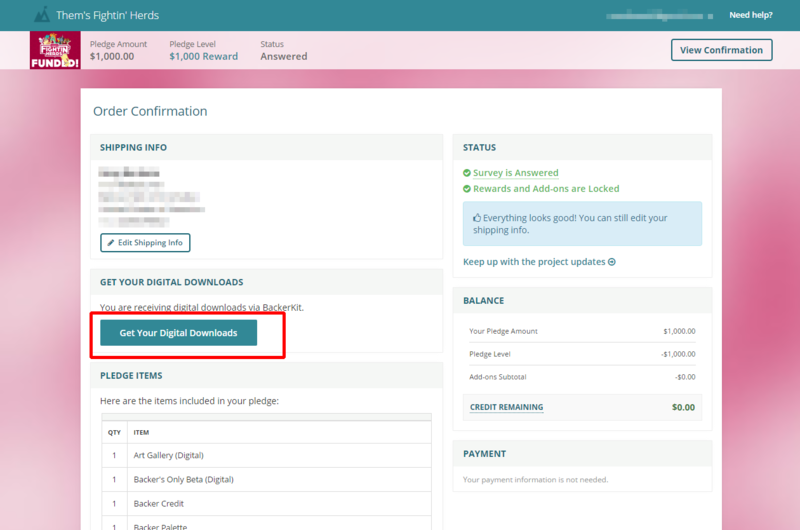 Please note that by joining us on this Beta, you're accepting the terms set forth in the EULA, which include a restriction on sharing screenshots, footage, gameplay or specific information about the Beta builds to the general public. If you breach the NDA, your Beta Key will be revoked, and you won't be able to take further part in the Beta. If you want to talk about the game, or to report any bugs, errors or glitches, please use the Beta Section of the forums!